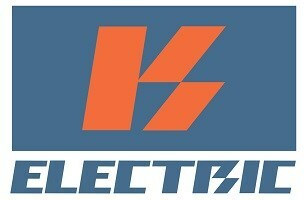 K-Electric - Alarms/Security, Electrician based in Cheam, Surrey. K-Electric offer specialist electrical services to London and surrounding areas at very competitive rates. Electrical services range from changing a light fitting to a complete rewire, whilst offering other services such as Security System, Fire Alarm and CCTV installations too. We are fully insured for up to £2 million worth of damages so you can rest assured that your home is safe in our hands. K-Electric are registered with Stroma, a government approved brand and an established certification body. This means our work is regulated and checked to ensure it keeps up to date with the BS7671 Wiring Regulations. Here we offer a high-end result and customer satisfaction as the upmost importance, we will go out of our way to make sure the client is 100% happy before leaving any job. To ensure the clients faith in our work, all installations come with a 6 year workmanship warranty.